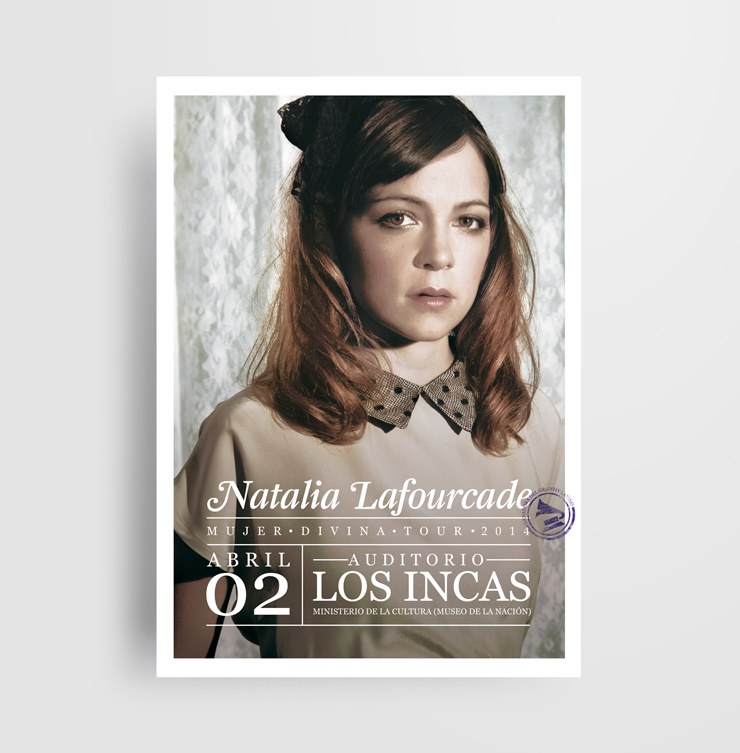 Official posters of some concerts of Natalia Lafourcade. Natalia Lafourcade is a Mexican singer and songwriter who is constantly evolving musical, featuring in each of their albums, surrealistic songs that carry hundreds of feelings and emotions. The posters are inspired by her album "Mujer Divina - Homenaje a Agustín Lara". The design emphasizes the subtlety of female innocence and beauty of the past and present through the photographic treatment and the stylized composition of typography.